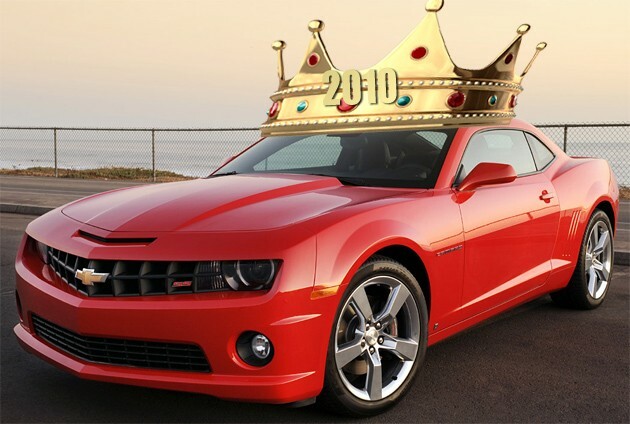 In the American sports car landscape, the Chevrolet Camaro is the king… of sales for 2010. For the first time since 1985, the Camaro has outsold its arch rival, the Ford Mustang. In fact, Chevrolet sold 7,655 more of its sporty coupes than the Blue Oval. General Motors moved 81,371 Camaros compared to 73,716 Mustangs. Both automakers have reasons to celebrate, however, because sales for each model are up year over year. Compared to 2009, Mustang sales climbed 10.6 percent and Camaro sales soared by 31.9 percent. Ford and General Motors are looking at positive numbers across the board, with the exception of GM’s now-defunct brands. Heck… even now-defunct Mercury sales rose one percent in 2010. Previous Post Snow Tires: To Buy or Not to Buy? Next Post 2009 Chevy Malibu GM Certified | $13,724!